I have a mini Rex and her back legs have all of a sudden lost strength. She drags them around her bunny run, and doesn't move very fast. She's only a year old. Ouch. Sounds like a broken or a sprained back, possibly from a sharp startle reflex. See more info at https://www.raising-rabbits.com/symptoms-of-spinal-injury.html. We're sorry! There may be hope, though, if the back is just sprained--if the rabbit has at least a little motion in its hindquarters. A trip to the vet may be in order. I am sorry to hear your bunny is sick. It may have a parasite that can cause it to not clean its bowels completely. I had an Angora rabbit that had this problem and had to put it down because I didn't catch it in time. you may want to get a vet appointment. We're not sure about the bowel thing, but actually, there IS a parasite that if it gets into the brain, can temporarily affect a rabbit's ability to get around. It's called nosema - get more info here - https://www.raising-rabbits.com/rabbit-illnesses.html. We think there is not much that can be done, except let the infection run its course. Frequently the rabbit's immune system manages to control the parasite and it will then remain symptom-free...if it survives. You may wish to check with a rabbit-savvy vet, in case there are new treatments available. I was wondering if rabbits get arthritis at a young age, or not?? That might be the cause, too, for that poor rabbit not walking and dragging its hind quarters. I want to tell you, since we are on a cool spell in CA, please keep your rabbits covered with lots of insulation, etc. Rabbits get a rabbit pneumonia called "Snuffles" which I have had two beloved female rabbits die from. The first one, which was a Netherland Dwarf female, and was 2 years old, had a runny nose, and we found her on top of some laundry, shivering. I wrapped her in my son's baby blanket and my ex and I took her to the vet. He called us, later that night, and said that she passed on and said he would bury her, free of charge, cause he knew how much she meant to me. The other one was Sassy, a Silver Satin female, same age as Nikko was, 2 years old, but I got to hold her while she was dying of "snuffles." The vet came to my house, and gave her a shot, but that didn't help. We put her in a large shoe box, but wrapped her first in a nice soft towel, and put two soft bunny toys in there with her, then closed the box, tied it with ribbon, then cremated her. At least I had some closure with her, unlike Nikko. I know this isn't part of the answer, but it is good therapy for me, to come to terms with their deaths. We are unaware of rabbits getting arthritis, except possibly when very old. This is because rabbits are herbivores and usually eat the types of food that their guts are designed for. Elaine, we're hoping you have more pet rabbits already. 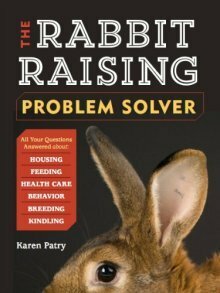 You might have better fortune health-wise if you purchase a healthy rabbit from a reputable rabbit breeder.